The 2016 Toyota Yaris and Toyota Prius offer fuel-efficient, affordable transportation. If you aren’t sure which is right for you, we’ve prepared a comparison. 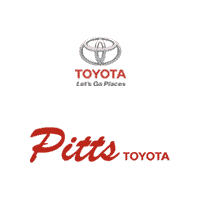 Please consider this your invitation to test drive your choice at Pitts Toyota dealer serving Dublin, GA. While the Prius is known for fuel economy, the Yaris can hold its own. Both save time and money usually spent at the gas pump. The two hatchbacks offer maximized space in their cabins. For instance, Yaris legroom is more generous than you’d expect, according to auto critic Edmunds. The 2016 Toyota Prius increased its cargo hold to 27 cu.ft. The Yaris offers a generous 15.6 cu.ft.Value Your Trade at Pitts Toyota. offers all of this as standard plus a rearview camera and Siri Eyes Free. Since it is offered in six trims, the Prius has high tech, more upscale editions with leatherette upholstery, navigation, power front seats, and a wireless charging pad. avoidance features that aren’t yet available on subcompact cars. This includes collision and lane warnings as well as a blind spot monitor and automatic wipers. Whether you favor the 2016 Toyota Yaris or Prius, you are sure to find a good price at Pitts Toyota dealer serving Dublin, GA.